In Real Life Show Their Style at Kids’ Choice Awards 2019! 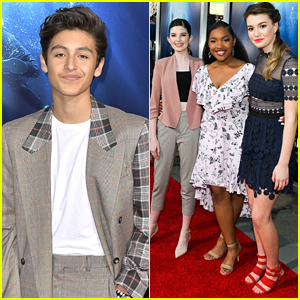 | Akira Akbar, Ava Kolker, ​2019 Kids Choice Awards, Caleb McLaughlin, KCAs, Kids Choice Awards, Marcel Ruiz, Mary Mouser, Priah Ferguson, Saniyya Sidney | Just Jared Jr. In Real Life Show Their Style at Kids' Choice Awards 2019! In Real Life looked so handsome at the 2019 Nickelodeon Kids’ Choice Awards! 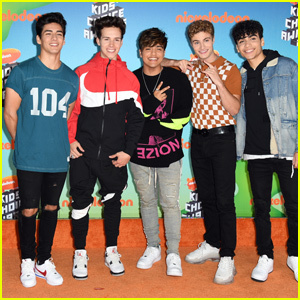 The group – Sergio Calderon, Michael Conor, Chance Perez, Andrew Ramos and Brady Tutton – stepped out at the award ceremony on Saturday afternoon (March 23) at the Galen Center in Los Angeles. They were also joined at the event by Stranger Things stars Caleb McLaughlin and Priah Ferguson. Other attendees included Akira Akbar, Saniyya Sidney, Mary Mouser, Marcel Ruiz and Ava Kolker. FYI: Caleb is wearing a Kidsuper outfit and MSGM shoes. Marcel Ruiz Reveals He Auditioned For His 'Breakthrough' Role Seven Times!